My House presents seminal works and collaborations by Mike Kelley from the 1980s and 2000s in juxtaposition with Ryan Trecartin’s movies from 2004 to 2013, placing the younger artist into historical perspective. The works of Kelley and Trecartin reveal formal and conceptual affinities in their questioning of the dominant culture of our time: from media platforms to popular culture, from the mechanisms of representation to the pervasive effects of globalisation. The United States, post-Vietnam War, is a phenomenological site that forms an intrinsic relationship between these important American artists, providing the fertile environment for a creative response towards a culture in the throes of profound social, economic, and political change. Although Trecartin did not move to Los Angeles until 2010, it was the place Kelley called home from 1976 until his death in 2012, and it shares the manic ethos of these revealing works. The title of the exhibition reflects an important archetype of dream symbolism and psychoanalytic practice, in which the house commonly reflects the self. The attic is analogous to the cavity of the mind while the basement holds the subconscious, the dwelling of one’s soul. This imagery also draws upon aspects of family interaction and Jung's collective unconscious, questioning the boundaries of ownership, collaboration, and community, themes that recur in both Kelley's and Trecartin's narratives. Through the works’ theatrical overtones and panoptic content, the vibrant history of the exhibition's site, the heritage building housing Presentation House Gallery, becomes further animated. Its institutional pasts—as an elementary school, prison, and city hall—and its current incarnations—which include a theatre and municipal museum and archive—mirror the boundless personas in the works of Kelley and Trecartin. My House affords an opportunity to consider the artists’ searingly visceral points of view, institutional critiques, and explorations of the shifting nature of identity through satirical performance. Friday, January 8, 2016, 7pm | Opening Reception following a discussion by exhibition curator Tobin Gibson with Mary Clare Stevens, Executive Director of the Mike Kelley Foundation for the Arts, about the artists’ work. Wednesday, February 10, 2016, 7pm | Screening of Mike Kelley’s Day Is Done at DIM Cinema, The Cinematheque, only the third-time this feature-length work has played in a cinema as intended by the artist. Tuesday, March 1, 2016, 7:30pm | Sessions: Kelley and Trecartin at DIM Cinema, The Cinematheque. In conjunction with My House: Mike Kelley and Ryan Trecartin, curator Tobin Gibson presents two rare videos examining the impact of language, translation and silence in these artists’ work. Kelley’s silent, twofold video Test Room… and A Dance… (1999) jumps between protocols of scientific animal study and modernist choreography conducted in a surreal laboratory environment. On view this evening for the first time outside of China, a unique version of Trecartin’s The Re'Search (Re'Search Wait’S) (2009-10) has been made possible thanks to an exhibition at the Ullens Centre for Contemporary Art, Beijing, in 2014. 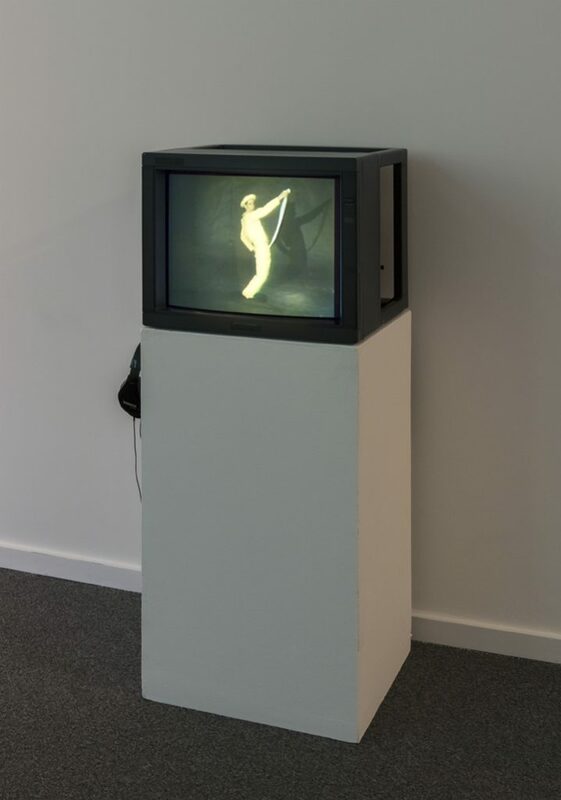 For this exhibition, his ‘movie’—a term deliberately used by Trecartin to describe his films— adopted Mandarin subtitles, further complicating the artist’s repurposing and layering of language. Mike Kelley (1954, Wayne, Michigan – 2012, South Pasadena, California) is considered one of the most influential artists of our time. He has exhibited extensively, working in an array of genres and styles, including performance, installation, drawing, painting, video, photography, sound works, text, and sculpture. His most recent solo exhibitions include Mike Kelley, Hauser & Wirth, New York (2015) and the 2012–14 touring retrospective Mike Kelley, which traveled to the Stedelijk Museum, Amsterdam; MoMA P.S.1, Long Island City, New York; Centre Georges Pompidou, Paris; and MOCA, Los Angeles. Kelley lived and worked in Los Angeles. Ryan Trecartin (1981, Webster, Texas) came to prominence nearly a decade ago, and is known for his video and sculptural work. Posing radical challenges both aesthetically and linguistically, his prescient work has become synonymous with the seismic shifts in culture that have defined our post-millennial moment. His solo and collaborative projects with Lizzie Fitch have been the subject of numerous exhibitions including Ryan Trecartin/Lizzie Fitch, Musée d’art Moderne de la Ville de Paris (2011–12); Ryan Trecartin: Any Ever, which in various iterations travelled to MoMA P.S. 1, New York; the Museum of Contemporary Art, North Miami; Istanbul Modern; the Fabric Workshop and Museum, Philadelphia; Museum of Contemporary Art, Los Angeles; and The Power Plant, Toronto (2009–10). Trecartin received a BFA from Rhode Island School of Design in 2004. He currently lives and works in Los Angeles. 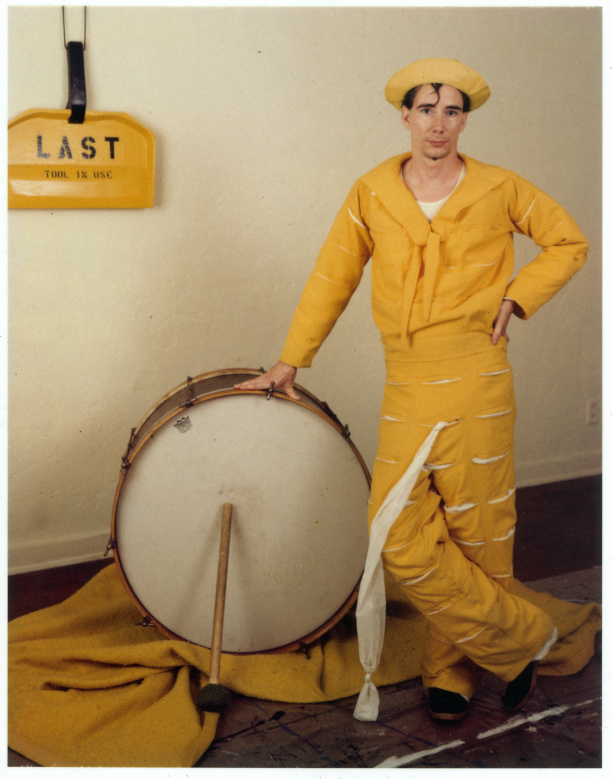 Mike Kelley, The Banana Man, 1983, 28:15 min, colour, sound. © Mike Kelley Foundation for the Arts. All Rights Reserved. 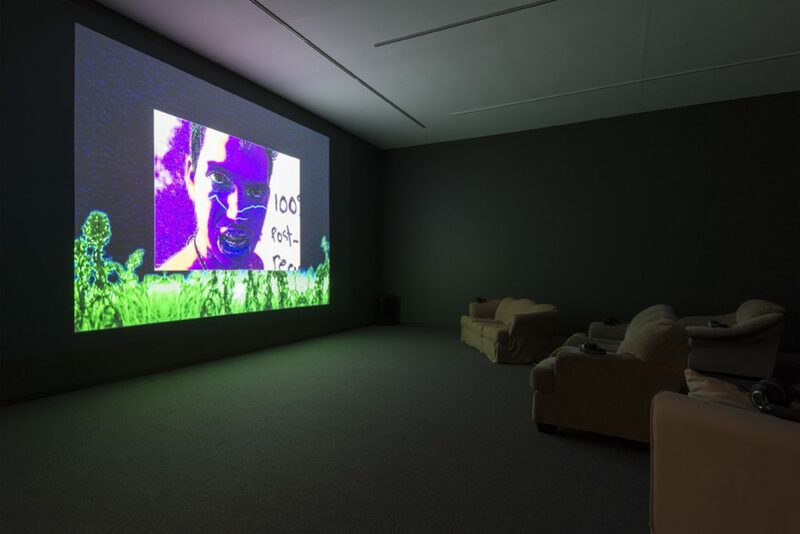 Installation view, My House: Mike Kelley & Ryan Trecartin, Presentation House Gallery, December 19, 2015 – March 6, 2016; Mike Kelley, The Banana Man, 1983, video. Courtesy Presentation House Gallery and Site Photography. 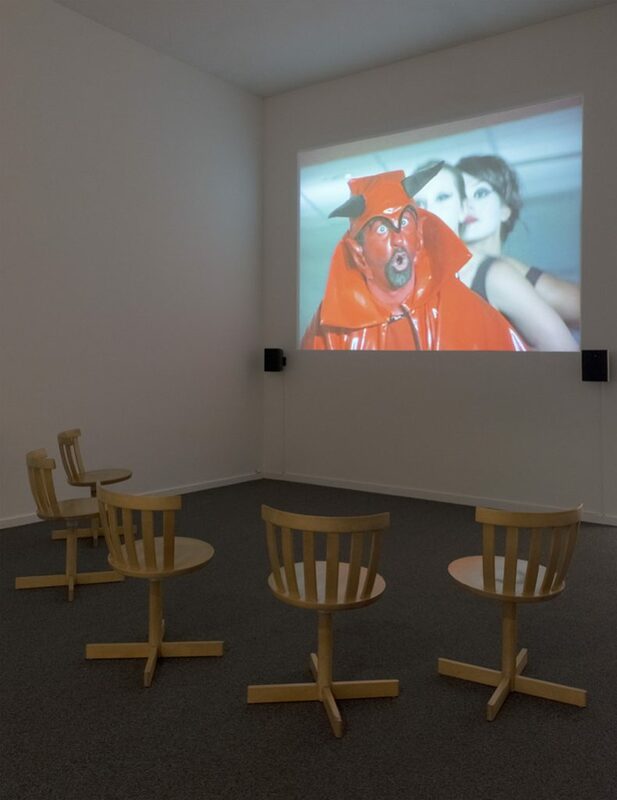 Installation view, My House: Mike Kelley & Ryan Trecartin, Presentation House Gallery, December 19, 2015 – March 6, 2016; Ryan Trecartin, Sibling Topics (section a), 2009, HD video. Courtesy Presentation House Gallery and Site Photography. 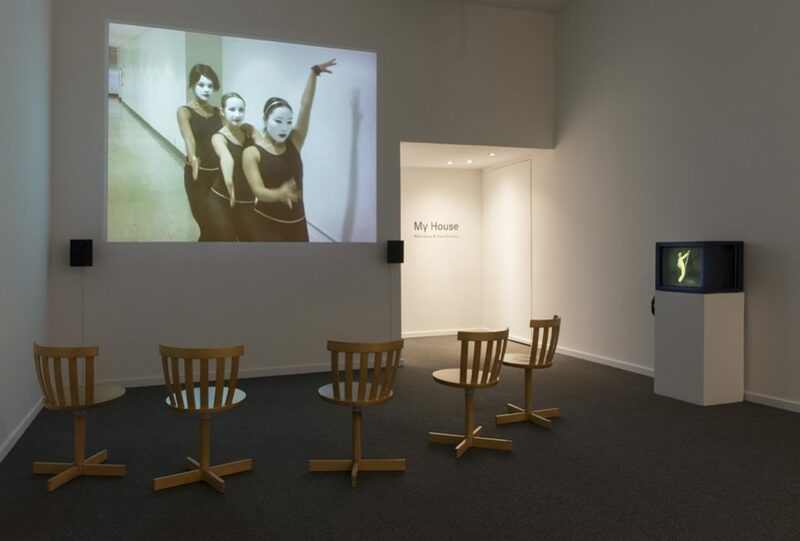 Installation view, My House: Mike Kelley & Ryan Trecartin, Presentation House Gallery, December 19, 2015 – March 6, 2016; Ryan Trecartin, A Family Finds Entertainment, 2004, video. Courtesy Presentation House Gallery and Site Photography. 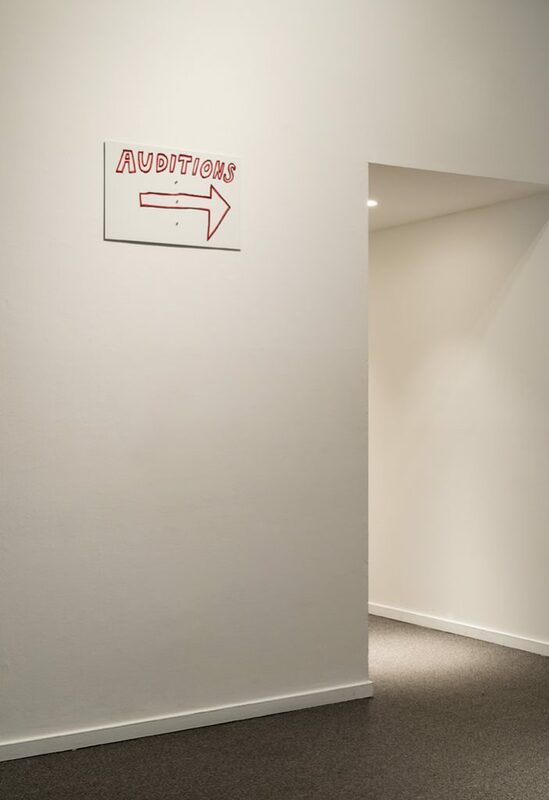 Installation view, My House: Mike Kelley & Ryan Trecartin, Presentation House Gallery, December 19, 2015 – March 6, 2016; Mike Kelley, Street Sign, 2004, two-colour silkscreen on white, baked aluminum panel with three puncture holes. Courtesy Presentation House Gallery and Site Photography. 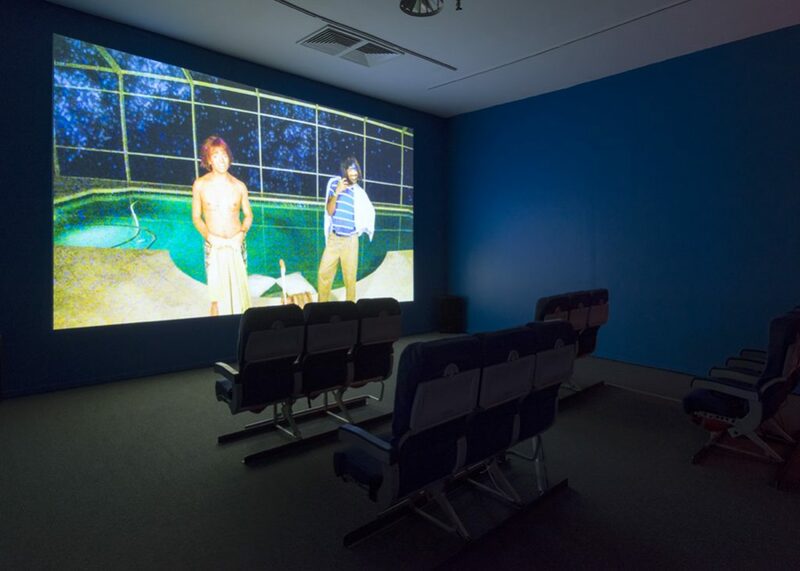 Installation view, My House: Mike Kelley & Ryan Trecartin, Presentation House Gallery, December 19, 2015 – March 6, 2016; Mike Kelley, in collaboration with Bruce and Norman Yonemoto, Kappa, 1986, video. Courtesy Presentation House Gallery and Site Photography. 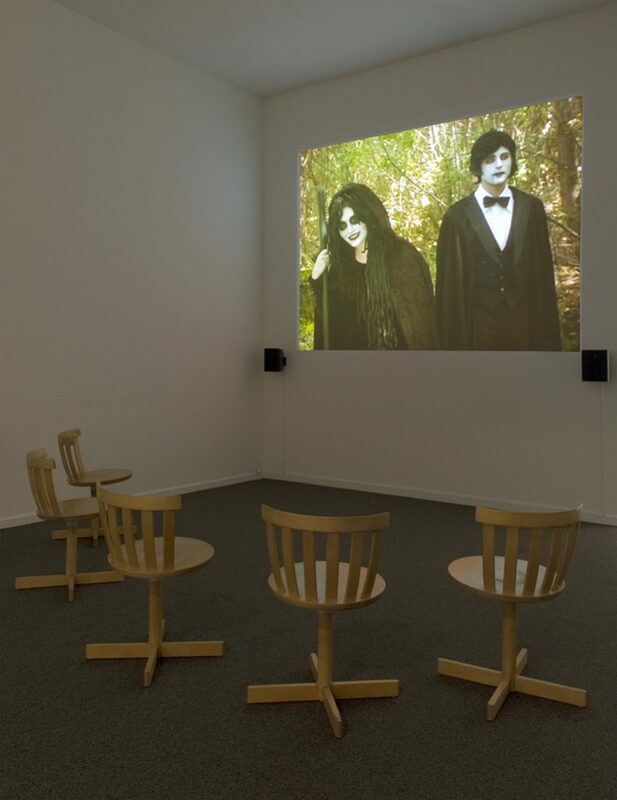 Installation view, My House: Mike Kelley & Ryan Trecartin, Presentation House Gallery, December 19, 2015 – March 6, 2016; Mike Kelley, Day Is Done, 2005-06, video. Courtesy Presentation House Gallery and Site Photography.